We rounded up a "top" storyline for every team still standing in the field. Consider this your cheatsheet.. 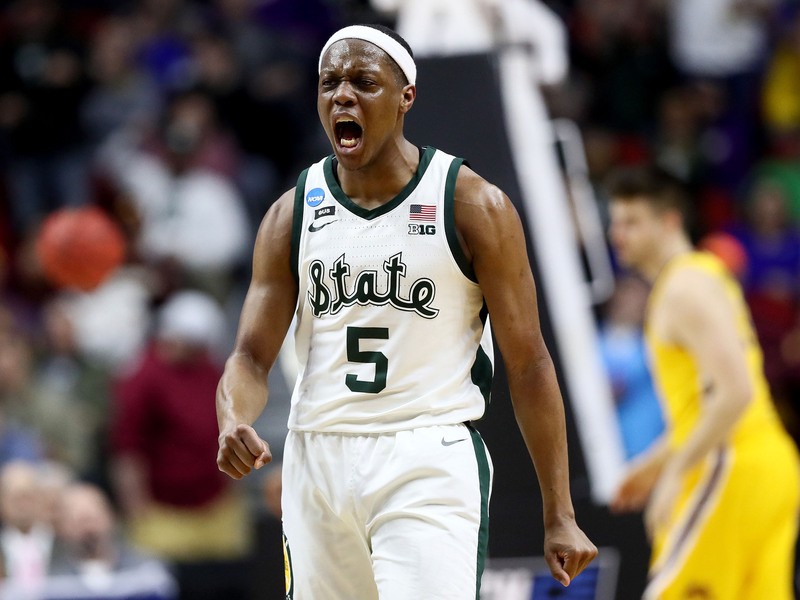 In celebration of the 68-team NCAA tournament field being whittled down to 16, we rounded up one storyline to watch for each of our extra chalky title contenders (and Oregon). Consider this your Sweet 16 cheatsheet. 1. Duke: Zion’s … reactions. Enough about how much Duke’s kingpin will score. Monster dunks? Muscled-up plays? Pshh. Let’s talk Zion’s reactions instead. How many times will he flash his left bicep for a quick flex with a smug, closed mouth smile after an and-one? How many times will he Hulk-out after a big bucket against Virginia Tech? Turning this into a drinking game could get dangerous. 2. Virginia Tech: Does Buzz Williams bust out of his vest? I’m joking … kind of. I stand by the question, but the more significant storyline will be Kerry Blackshear Jr. vs. Zion Williamson. Can the Hokies’ leading rebounder hang around the rim with Zion on the floor? Blackshear Jr. dropped 23 points against Duke while Zion was out this season. So what can he do with him back in the fold? 3. Florida State: Can the Seminoles end Gonzaga’s Elite Eight hopes and dreams for the second straight season? The Zags look good enough that they could redeem themselves after last year’s Sweet 16 loss, but the Seminoles will certainly try to rewrite the same story. Maybe, say, by taking a page out of Saint Mary’s book? 4. Speaking of Gonzaga ... watch Brandon Clarke. The Zags' big man is basically Zion of the West. He scored a team-high 36 vs. Baylor with eight rebounds, five blocks and three assists. From windmill dunks to two-handed jams, Clarke is the guy to watch for a little pizazz on Thursday before getting your Zion fix on Friday. 5. Purdue: Carsen Edwards is the clear star on the Boilermakers, the guy you really want to watch is Matt Haarms. Purdue’s 7’3” sophomore center has great hair. Some might even go with great hair. He runs his hands through it during every stoppage. See if you can how many times he does it as Purdue takes on Tennessee. Might be better than the actual game. 6. Tennessee: The Vols would’ve made history by blowing the biggest lead in NCAA tournament history had they fallen to the Hawkeyes after leading by 25. So how will the No. 2 seed respond? Grant Williams and Admiral Schofield put up 19 points apiece against a terrible Iowa defense and Tennessee still nearly let a Sweet 16 berth slip through their fingers. Purdue will be much tougher competition, so keep an eye out for which version of Tennessee we'll see. It’ll be telling for its odds to advance beyond the Elite Eight should it walk away with a win. 7. Texas Tech: Will the country’s best defense come to play? Big Blue won’t go down easy, but watch to see if the Red Raiders can pull it off and eliminate some of the chalk in this year’s bracket. Texas Tech is still a No. 3 seed, yes, but if Florida State can knock off Gonzaga, the West could be in for an interesting Elite Eight clash. 8. Michigan: Now on to the nation’s second-best defense. This game is going to be a slugfest, but more importantly: how many dudes can freshman forward Ignas Brazdeikis dunk on? Brazdeikis has had a highlight-worthy slam in the Wolverines' first two tournament wins. His three-point shooting may not be thriving, but his next victim at the rim almost certainly awaits this weekend. 9. Michigan State: Tom Izzo … and the Spartans turnovers. MSU got sloppy against Minnesota and turned it over 22 times in the second round. Will it clean things up for Friday? Will Izzo attempt to break the Internet again by screaming at someone else? Or will his outburst take a backseat to the Will Wade-less LSU? 10. 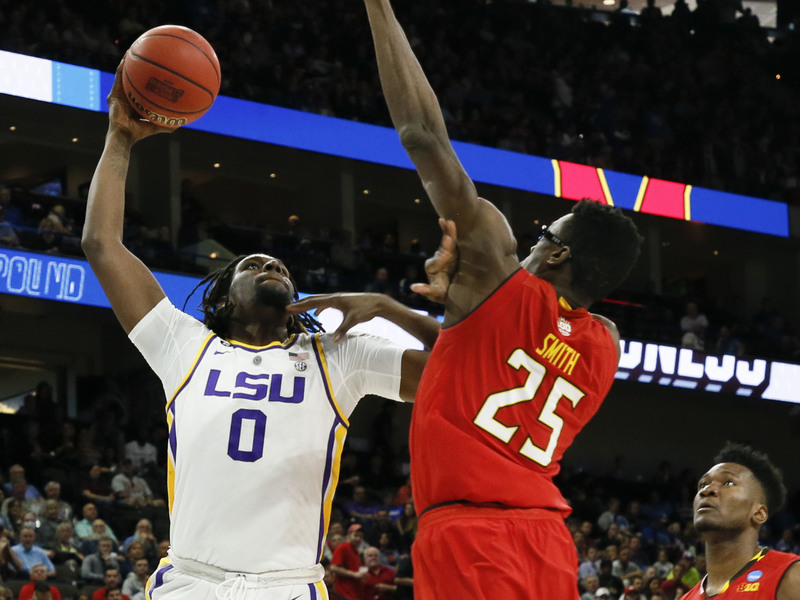 LSU: If Naz Reid isn’t enough to keep you entertained, keep tabs on #TigerNation’s #FreeWillWade movement on Twitter. Many were skeptical of what LSU could do without Wade—who has simultaneously become the subject of an FBI wiretapping investigation and of a pretty funny parody account—but the Baton Rogue faithful were not. They come out in force when LSU is on the court without Wade, and it’s pretty damn funny. 11. Oregon: Watch for several important questions to potentially be answered on Friday night. Can the last-standing Cinderella succeed in this tournament of chalk? How many blocks can Kenny Wooten fast-twitch his way to against all 250 pounds of Virginia big man Jack Salt? Will some more hackers make up Dana Altman quotes about the Cavaliers or overcooked spaghetti? Did Bol Bol get paid to play for the Ducks? Only time will tell. 12. Virginia: Look, Virginia’s defense is good. Oregon’s defense has gotten really good. This game could easily be a grind. So let’s make it fun: Do the Ducks come close enough to an upset to get Cavaliers coach Tony Bennett a ‘lil heated? Maybe not quite to Tom Izzo's extent, but just enough to get the commentators going ... like he did against Carolina. An Angry Tony Bennett was a sight to see. 13. Houston: The Cougars' best player is senior guard Corey Davis Jr. He’s very good. But he also wears very short shorts while he balls out. To make things better: he rolls them up so they’re even shorter. Talk about commitment. Davis has dropped 26 and 21, respectively, in Houston’s first two March Madness wins, but this week watch to see if the king of short shorts can do it again against a talented Kentucky team. 14. Kentucky: Without PJ Washington, it’s plausible that Kentucky could be down at the half. Which then could lead to a classic John Calipari rant to a sideline reporter about how young his team is this season. We’ve seen it before and it seems to be Cal’s go-to excuse for when the Wildcats fail to show up to a fight. 15. Auburn: Bryce Brown scored 25 vs. Kansas in the second round, including seven threes. But it was guard Jared Harper who stole the spotlight when a fan riffed the song “Sugar, Sugar” and turned it into “We’ve Got Jared” after scoring 18 in the win. The parody reached the Tigers team and should 100% become Auburn’s anthem the rest of the tournament. Will they break out the song (or the moves) this weekend? 16. North Carolina: The Tar Heels are the best team no one is talking about. They’re also the fastest moving. So fast that as they were flying down the court, sophomore forward Garrison Brooks took a gruesome elbow to the face from Washington’s Noah Dickerson, lost one tooth, broke another, busted his lip and needed stitches after the game and still returned for the Tar Heels. So who’s throwing bows on Friday for Brooks? And how swollen do we think that lower lip is still going to be? Garrison Brooks’s face. As mentioned above, Carolina’s big man took an elbow to the face and still returned to the court. Everyone talks about how the Tar Heels have a good balance of veteran leadership and youth, but how about their grit? Let’s take some of that Tennessee toughness talk and transfer it to Brooks from here on out. No. 2 Michigan State over No. 3 LSU: If you’re looking for a high-scoring affair, direct your attention elsewhere. The Spartans boast a little more offensive firepower than the Tigers, which should carry them to a win this weekend. No. 1 North Carolina over No. 5 Auburn: The Tar Heels have the talent, leadership and Coby White to make it tough on a hot Auburn team. The Tigers have won 10 straight, but if there’s anyone you don't want to play right now, it’s Carolina. No. 1 Duke over No. 4 Virginia Tech. The Hokies already toppled Duke once this season, but both teams were missing their best players. At full strength, this game will look considerably different. But Duke is still the favorite and out to prove something after a scare against UCF. No. 3 Houston over No. 2 Kentucky. Let’s get a little less chalky for a sec. If PJ Washington is still out for Kentucky, the Cougars could take a trip to the Elite Eight. Duke gets eliminated before the championship game. The Blue Devils got off to a rocky start against North Dakota State in the first round and then barely escaped against UCF. It feels as if the Blue Devils haven't been as dominant as anticipated during the Big Dance. Between underwhelming performances from its own stars (aside from Zion) and surprisingly strong showings from opposing defenses, it could be a recipe for disaster for the title favorites. Any of Virginia Tech, Michigan State or Michigan could shock Coach K’s historic squad and send Duke home early. Who is running this Will Wade parody account and how do they feel about the young men from the State of Michigan?